2018 ACE Award Judge Dr. Julian Fennesy, Giraffe expert raises fears the animal faces extinction if conservation efforts don’t happen soon. Everybody loves giraffes, with their long lashes and gangly features, but they have, until recently, been largely overlooked when it comes to conservation research. Thanks to the efforts of one man who has dedicated himself to their study for the last two decades, however, things are changing. Dr Julian Fennessy, co-founder and executive director of Namibia-based Giraffe Conservation Foundation (GCF) and co-chair of the IUCN SSC Giraffe and Okapi Specialist Group, has pioneered research and conservation initiatives for the world’s tallest animal, shining light on the threat of their extinction. Most importantly, Fennessy initiated the genetic analysis that led to the recent discovery that there are in fact four species of giraffe in Africa, two of which – the Northern and the Reticulated – are among the most endangered large mammals in the world. Until these findings – the result of a collaboration with Dr Axel Janke, a geneticist at the Senckenberg Biodiversity and Climate Research Centre, and Goethe University in Germany – were released in 2016, only one species had been recognised by scientists worldwide. This discovery highlights the urgent need for greater conservation of giraffes, which are now listed as “vulnerable” on the International Union for Conservation of Nature (IUCN) endangered species list, and which have experienced a rapid overall population decline of 40 per cent in the last three decades. Giraffes are already extinct in seven countries, and there are now less than 100,000 individuals left in the world. The Giraffe Conservation Foundation (GCF) is the only giraffe conservation organization in the world dedicated solely to saving giraffes in the wild across Africa. “We’ve helped develop natural strategies for governments in Africa, the first ever for almost all the countries actually – as giraffe were not highlighted as important species, no strategies had been done,” says Fennessy. The charity has helped conduct surveys, and set up new populations of giraffe in areas where they formerly existed but had become locally extinct. “In Uganda we’ve worked over the last five years with the government. We also have a giraffe action fund where just in this last year we’ve allocated a little over US$500,000 to help others do giraffe conservation specific work across Africa,” says Fennessy. Today GCF remains a small organisation, counting on only six full-time staff. When Fennessy and his wife Stephanie started it in 2009 it was a small UK-based charity, reliant on the work of volunteers. As the first dedicated giraffe charity, there were many gaps to fill in their basic knowledge of this creature. In 2013, they captured the interest of a philanthropist from the US, who proposed them a challenge: he offered them US$20,000 as a test, asking that they show him what they could do with it. “I went to the states and did 25 talks in five weeks to raise awareness and funding,” says Fennessy. “I had far too much beer to keep myself awake – but that trip gave me the ability to get a network going and the dollars started to flow from there.” That year, they also created World Giraffe Day, now celebrated annually on June 21: the year’s longest day for the world’s tallest animal. Their second big break came when Fennessy’s work became the focus of an Emmy-nominated David Attenborough narrated BBC Two Natural World documentary, Giraffe: Africa’s Gentle Giants. It follows them through three countries showing how they work with partners across Africa to save giraffes, including the daring relocation of 20 rare Nubian giraffes across the Nile to a safe location. “It’s pretty bloody good. And it’s been a great tool,” says Fennessy. “We get constant contact – the good, the bad and the ugly – about it. But it always brings in increased interest, support and funding.” The biggest threat to giraffe’s future survival is habitat loss and fragmentation, says Fennessy. “The bottom line is people. Population growth is unfortunately having a big impact – not just on giraffe but on all wildlife in Africa and the world,” he says. “We are seeing conservation success stories though. And we think we can turn it around in many of these areas before it’s too late: otherwise, why would we bother?” Both the Nubian (formerly Rothschild) and West African subspecies are listed as endangered on the IUCN red list, but both populations are now on the rise, thanks to GCF’s collaborative efforts with local governments, communities and charities. In Niger, for example, giraffe numbers were down to 49 individuals in 1996; now they are over 600 – the last remaining wild giraffes in West Africa. In Uganda, GCF have been counting the giraffes, setting up new populations and monitoring them. “They used to do aerial surveys which were quite poor, and poor extrapolation, so now we use individual identification methods,” says Fennessy. “We take photos of every single one and run it through a computer program. They all have a pattern like a fingerprint, so we can ID them, and over years we build up a database. So how can people help? They can start by actively supporting conservation work, Fennessy says. “Don’t be an armchair conservationist. We need funding to be able to support efforts on the ground. So we're looking for partners, collaborators to help us make a difference.” An easy way for individuals to support their efforts is to donate or adopt a giraffe via the GCF website. If you’re planning to visit Africa you can also make a difference by supporting responsible eco-tourism. When selecting a safari company, ask your tourism operator what they do for conservation and how they support local communities living with and around wildlife.  “A2A Safaris are a very good example of people that go beyond the call of duty, that is why we joined forces with them a couple of years ago,” says Fennessy, who also recommends Abercrombie & Kent, Ultimate Safaris in Namibia and Ker & Downey in East Africa. “African Parks is a network doing an amazing job helping to manage parks across Africa with governments,” he adds. Dr Julian Fennessy’s talk “A tall story! – Saving Africa’s giraffe”, presented by The Royal Geographic Society, takes place on Tuesday June 12, Executive Centre, Level 3, Three Pacific Place, Admiralty.